This is My City: R-E-S-P-E-C-T It! Students will develop understanding of environmental awareness by learning about pollution and cleanliness within their immediate environments (classroom, school, neighborhood). Students will ultimately be introduced to environmental racism and how it has affected their neighborhood. They will also come up with some actions that we could all take to fight against environmental racism in the neighborhood. Download the PDF: This is My City R-E-S-P-E-C-T it! 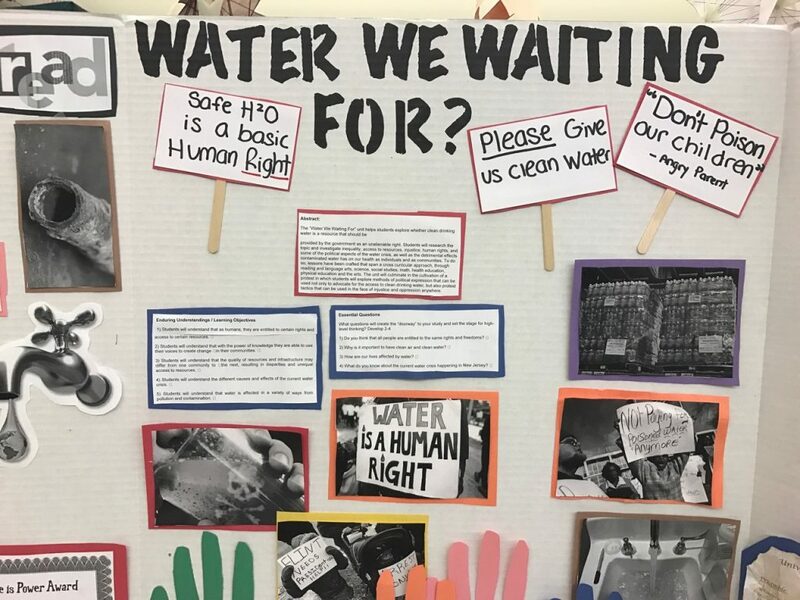 The “Water We Waiting For” unit helps students explore whether clean drinking water is a resource that should be provided by the government as an unalienable right. Students will research the topic and investigate inequality, access to resources, injustice, human rights, and some of the political aspects of the water crisis, as well as the detrimental effects contaminated water has on our health as individuals and as communities. To do so, lessons have been crafted that span a cross curricular approach, through reading and language arts, science, social studies, math, health education, physical education and the arts. 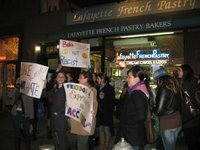 The unit will culminate in the cultivation of a protest in which students will explore methods of political expression that can be used not only to advocate for the access to clean drinking water, but also protest tactics that can be used in the face of injustice and oppression anywhere. Beat it! Defeat it! Racist Cookies, We Won’t Eat it!